Does planning meals each week feel like a chore? At Land of Nosh, we make meal planning enjoyable. 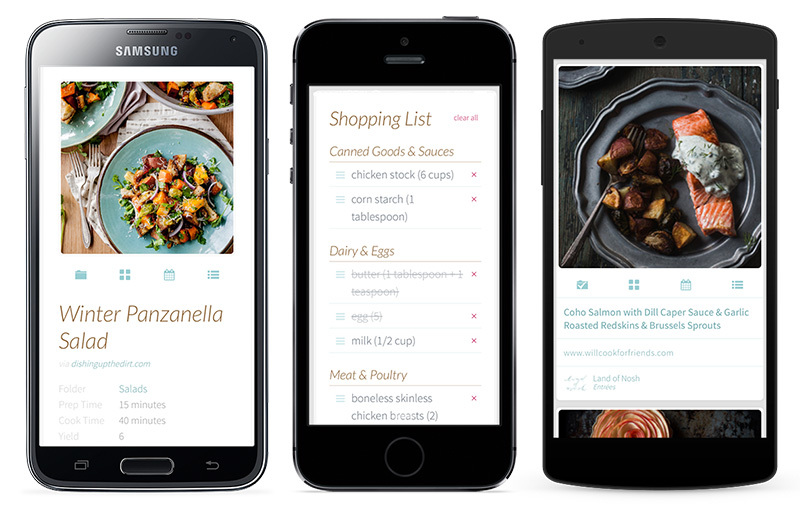 Land of Nosh was designed with one goal: to make meal planning easy and enjoyable! You’ll love how simple it is to browse recipes, and when you’ve found a tasty dish you want to schedule, simply click one of the icons below the photo to add it to your Meal Plan, Calendar or Shopping List. Voilá! Now you can plan an entire week’s meals without setting down your glass of lemonade. Are you tired of cooking the same recipes over and over? Let Land of Nosh bring new recipes to you. Each week, Land of Nosh features new, delicious recipes that will show up in your Activity Feed where you can add them to your own collection in seconds! We’ll have you out of your cooking rut in no time! Get your friends’ recipes with a single click. How’s that for easy? 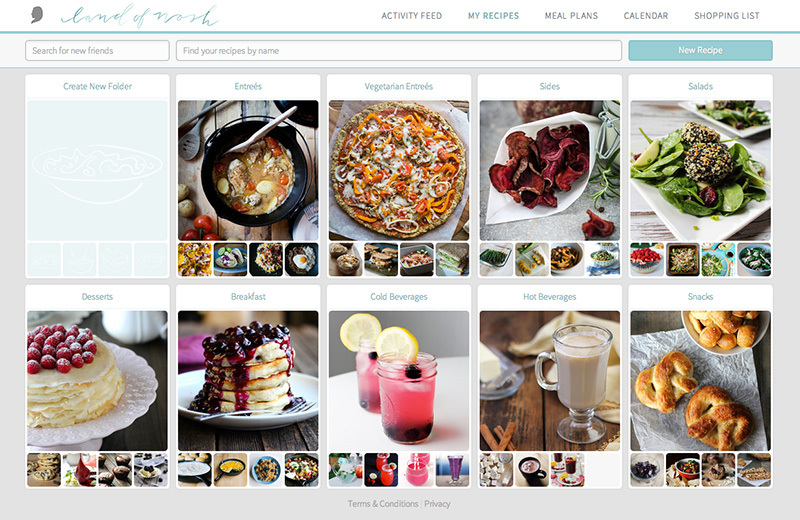 In Land of Nosh, you can follow your friends to view their custom folders full of recipes. 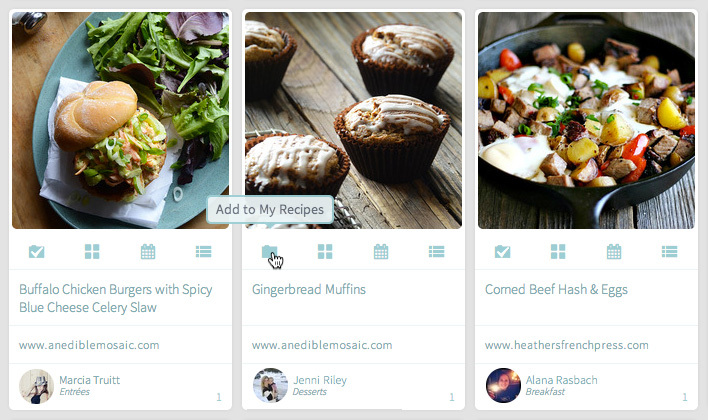 Your Activity Feed will showcase all of the newest recipes that your friends have added. 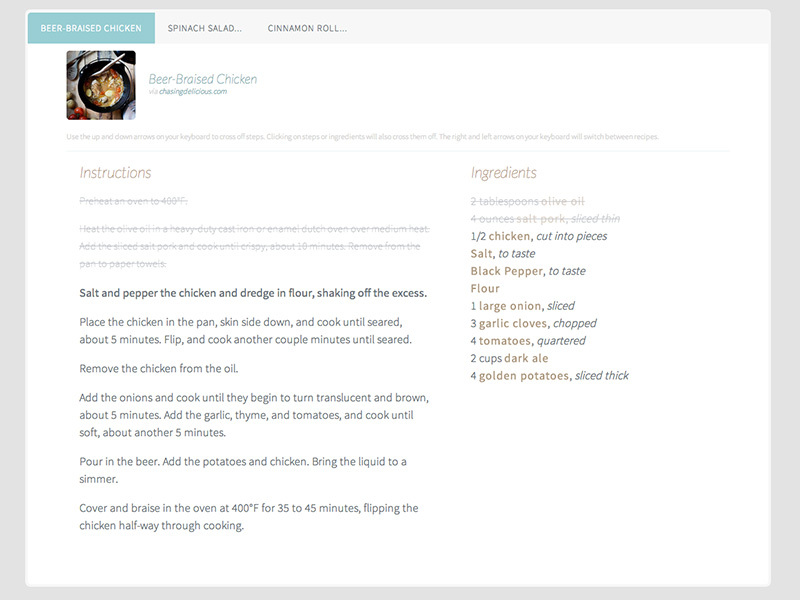 And best of all, you can add any recipes to your own collection instantly. Now that’s a modern day recipe swap! Plan once. Benefit over and over. Our Meal Plans are easy to create and designed to help you view your entire week at a glance. When your Meal Plan is ready, you can add it to your Calendar or Shopping List or share it with your friends. Each Meal Plan you make is saved and can be reused over and over, so the time you spend scheduling healthy and balanced meals now, can keep you from five nights of takeout in those busy weeks to come. Now you can make your meals, not your plans, from scratch each week! Imagine the convenience of simply looking at your Calendar each afternoon to see what tasty dishes will soon be on your table! 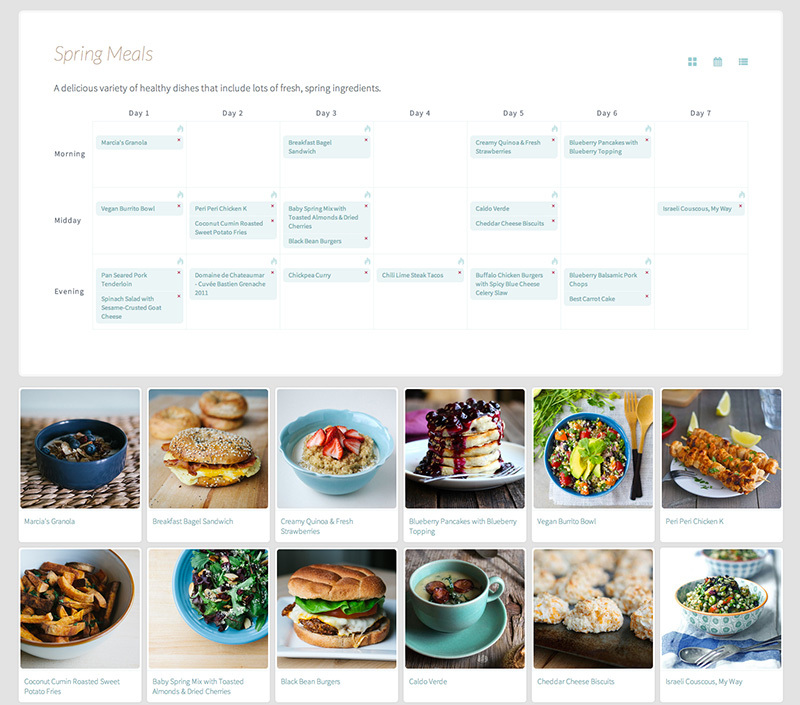 As you plan your meals, individual recipes or entire Meal Plans can be added to your Calendar. When you are ready, you can add a custom date range to your Shopping List. Then as each day arrives, you’ll know that your fridge is completely stocked with everything you need. Now your partner or kids will not only know what’s on the menu that day, they could even help with the meal preparation by looking up the scheduled recipes themselves! You pick the recipes. We’ll handle the shopping list. With one click you can add individual recipes or entire meal plans to your shopping list! We’ll generate a categorized list of every ingredient you’ll need, with the quantities automatically combined, for a streamlined shopping experience. You can even add extra items to your list for those non-food related purchases. Then, when you are ready, print your list or use your phone to cross off the items as you shop! Say goodbye to the days of forgotten purchases and aisle wandering. cookbooks, blogs, binders and apps? With all your recipes in Land of Nosh, you’ll know just where to look. 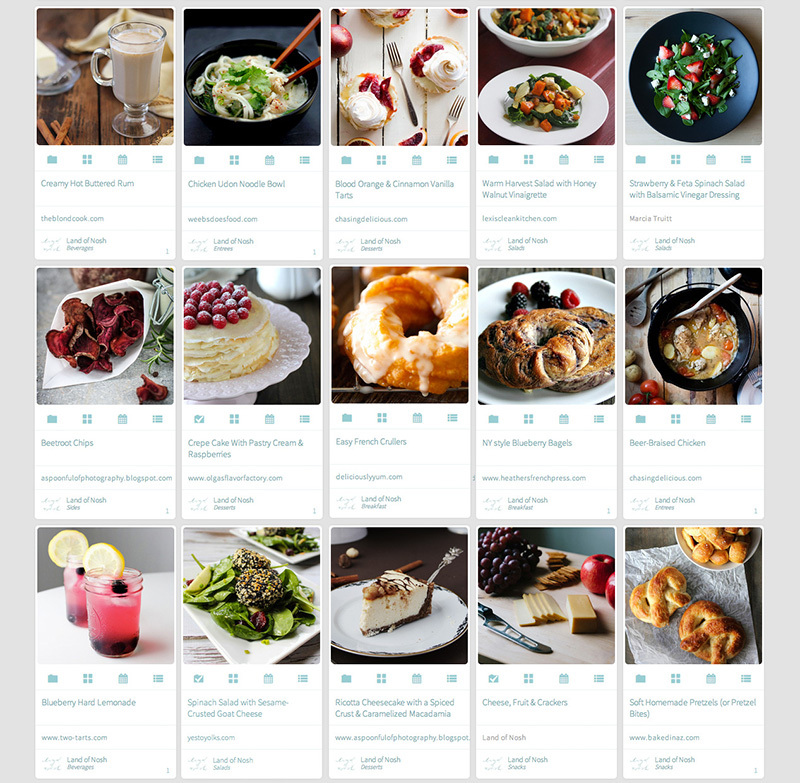 Imagine having all of your favorite recipes in one place, and neatly organized into custom folders. 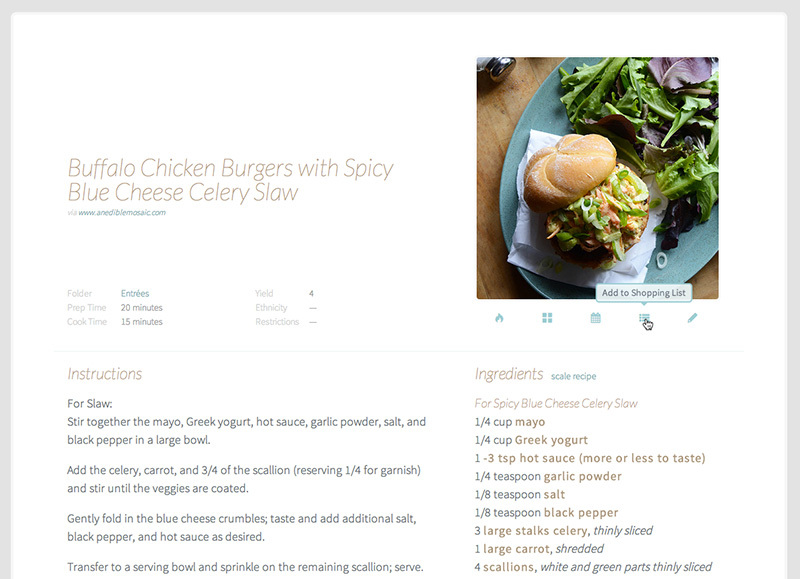 With our built-in recipe importer, adding recipes from most major websites is as simple as pasting a link. You'll never misplace your “World's Best Cookie” recipe again, and you'll be reminded to make that incredible salad more often. Land of Nosh is flexible for when your schedule isn’t. Land of Nosh has several ways to help you get food on the table. You can bypass our Meal Plans entirely and simply add recipes directly to your Shopping List. Then it’s up to you whether you cook the dishes in a certain order or play it by ear according to your busy schedule. When cooking, do you ever lose your place in the instructions or forget what ingredient you added last? Land of Nosh has a Cook It view that allows you to easily cross off each completed step and added ingredient. Cooking three recipes at once? We’ve got you covered! Each recipe gets its own tab, and we’ll save your place as you quickly switch between them so you can spend more time cooking and less time reading.